CPS Energy’s New Energy Economy (NEE), a unique public private partnership program aimed at diversifying the utility’s energy portfolio, has created as much opportunity for its community as it has for the companies engaged in it, a new white paper reports. At today’s CPS Energy Board of Trustees’ meeting, Vice President of Public Affairs and Brand Management Jenna Saucedo and Dr. Steven Nivin of St. Mary’s University tallied the economic impacts of the initiative based on an independent quarterly report assembled by Dr. Nivin. Since inception, the NEE has generated $684 million in annual economic benefits to the San Antonio community and made San Antonio seventh in the nation in solar energy. Those impacts include more than 700 good paying jobs in a novel and burgeoning new energy sector, massive infrastructure investment, a $2.6 million infusion into local STEM (science, technology, engineering, math) programs and status as a public utility leader in the U.S. for solar power. The economic impact expands to $1.1 billion with multiplier effects taken into account. “CPS Energy’s New Energy Economy: Leveraging Buying Power for Clean Energy and Community–A New Model for Public – Private Partnerships?” details the NEE initiative launched in June 2011 by CPS Energy CEO Doyle N. Beneby. 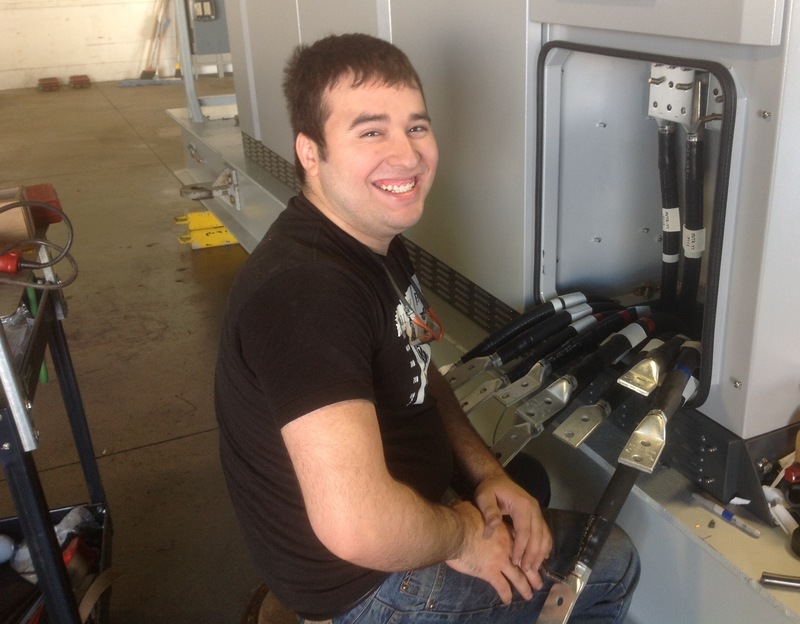 Roy Salinas works part-time at KACO while earning an Associate Degree in Electrical Engineering at Palo Alto College. The program results from the New Energy Economy. “We’re pretty proud of this,” said immediate past Chair and current Board member Derrick Howard. Nora W. Chavez, current Board chair, agreed. “We’re the full package,” she said, congratulating CPS Energy staff and partner companies on the success. Perhaps most impressive, the award-winning NEE has resulted in the founding of a clean energy ecosystem in the San Antonio area. NEE partner companies have invested $15 million in the Energy Partnerships Innovation Center, or EPIcenter, the soon-to-be-reimagined Mission Road power plant, which will become a think tank and mixed use collaboration space for New Energy Economy companies in San Antonio. Partner companies have also established multiple solar farms, solar supplier and manufacturing facilities, and the first and only n-type solar panel manufacturing facility in the U.S., Mission Solar Energy. 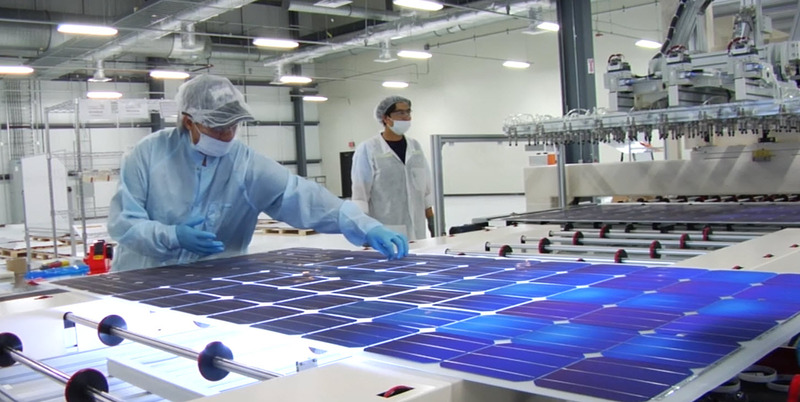 San Antonio’s Mission Solar Energy: the first and only n-type solar panel manufacturing facility in the U.S., and a direct result of the New Energy Economy. OCI Solar Power, KACO new energy, Landis+Gyr, and Silver Spring Networks are all part of the initiative. The NEE has allowed CPS Energy to work toward achieving a 2020 goal of 65 percent low- or no-carbon emitting power sources while also benefitting the community and the partner companies.